You can customize table header for DbFace tabular report. At the application builder page, find the Apperance section. 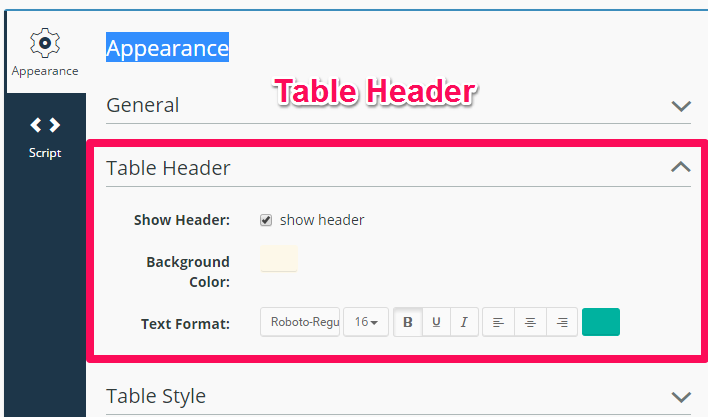 You can customize the table header background color, font family, and other text format. You can also uncheck the "Show header" checkbox to hide the table header. 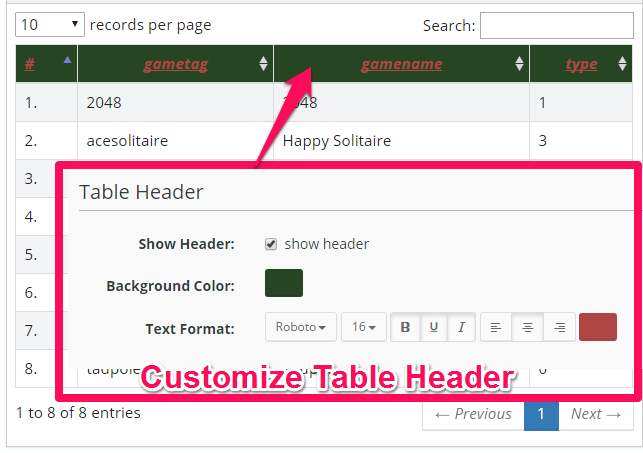 Please notice: if you hide the table header, the pagination feature will be disabled.